Earlier in July, a brawl that erupted between thugs and some sales clerks in a smartphone shop was reported and the commotion in Low Yat Plaza caught on a video quickly went viral on the social media. While the investigation was pending, the incident was speculated to be racial conflict sparked by the suspicion that the Chinese traders sold counterfeit goods to the Malay customers. The cause of the scuffle was later identified to be a group of youths exacting their revenge against the retailers who caught them shoplifting. Prosecution against the wrongdoers were soon carried out and business resumes as usual in Low Yat Plaza. However, this is not the end of the fiasco. 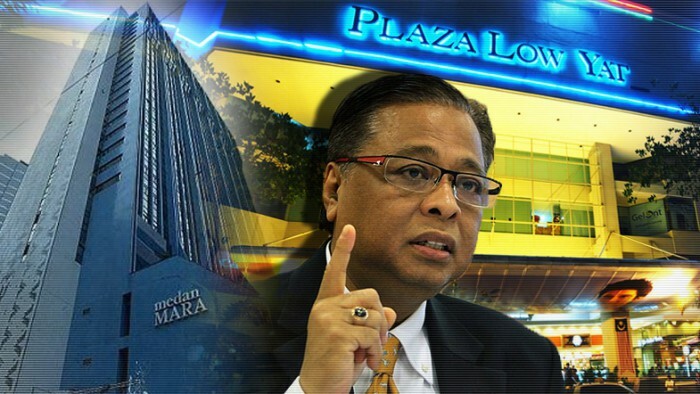 Recently Minister Datuk Seri Ismail Sabri Yaakob suggested the MARA building in Jalan Raja Laut to be converted to become a Malay-only digital gadget mall. The building is expected to house solely Malay traders. What do the netizens think about this idea? 1. Low Yat Plaza 3, 4, 5, and beyond should be built everywhere to serve the needs of different races in the country. Because we are 1Malaysia, right? With this mindset, shouldn't we be getting a Low Yat 2 to 10 for every sort of race we have here? 2. Could number 2 be the lucky number of the year? 2 + 2 = 4? Could this be the reason why we have Bersih 4.0 this year? KLIA 2, low yat 2. Are we going to have KLCC 2 next? 3. If number 2 in the building name sounds unimaginative, maybe the authorities should consider exciting names for the complex? Plaza Hang Jebat just for Malays, perhaps? Come on.. At least come up with an original name. Low Yat 2, but bumi-only? Okay let's open Butik Fatimah but we sell only sarees/cheongsam. 4. Cautionary Article 153 notice should be placed on the entrance should affirmative action for purchase of goods and services are enforced. Can the vendors of this 'Low Yat 2' sell their wares at the same competitive prices? If racial quotas imposed, unlikely. In case you didn’t know, Article 153 of the Constitution of Malaysia is about “safeguard[ing] the special position of the ‘Malays’ and natives of any of the States of Sabah and Sarawak and the legitimate interests of other communities”. This is usually enforced by establishing quotas for entry into the civil service, public scholarships, and public education. So the question here, is will Low Yat 2 also offer special discounts to the Malay community but fixed prices to the non Malays? 5. But hey, if things get out of hand everywhere, we can just build a new nation. Low Yat 2. Hmm… Make toilet 2, restaurant 2, bank 2, hospital 2, MAS 2, KTM 2, jalan raya 2, and last but not least, Malaysia 2. 6. Ironically, if the new Low Yat 2 is meant only for Malays, why does it still sound Chinese? Nak buat "low yat" 2 . utk melayu je kata menteri . Tapi nama "low yat" ? Truth to be told, I have been living in a Malay neighbourhood for nearly two decades and we have lived peacefully with one another. There was never a clear distinction between us and them for we are all Malaysians. 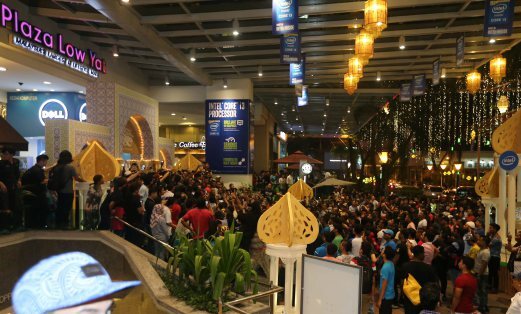 Be it Chinese New Year or Hari Raya, Malaysians everywhere rejoice over the public holidays. Also, despite certain authorities’ efforts to segregate the races, what’s surprising (or maybe it shouldn’t be) is that many of the objections towards the idea of Low Yat 2 are coming from the Malays themselves. They, too, realise that it is a step backwards for the country and society. Should the construction of Low Yat 2 gets the green light, it would be a lamentable monument of the crumbled racial unity. For we coexist with each other in harmony for decades now, why is there a need to segregate the Malays into a designated premise? Let’s not make something out of nothing due to misinterpretation of the Low Yat incident because the act of pointing a finger to a particular community would only divide us further.